A loving son, brother, father, husband and friend to many, always giving a helping hand. Larry fought a lengthy battle, which became visible after the FINA Worlds Masters Championship Waterpolo games in Italy, with anxiety and insomnia which caused him impaired judgement, confusion, hopelessness, etc. that took his life at 51 years of age. Generations of Gauchos and water polo enthusiasts mourn the loss of Larry Mouchawar, who passed away last week. Mouchawar was UCSB’s only four-time All-American from 1980-84, where his teams made three appearances in the NCAA tournament. Larry's 244 goal scoring record stood from 1985 to 2010. Mouchawar trained with the U.S. National Team from 1985-1994. Larry's outside shot was among the best in the nation during his college years. Mouchawar's game evolved afterward when he established himself as an elite center forward during the 1990s and beyond. Larry trained with Coach Pete Snyder's Santa Barbara Water Polo Club for many years after college and led the team to numerous appearances at Outdoor National Championships. Larry graduated in 1985. Obtained a Certificate in Accounting from UCLA in 1995, and was part owner of the Aviara Real Estate Group, headquartered in Westlake Village. Larry's training and playing regime was remarkable—he competed with Santa Barbara Water Polo Club, Sunset Water Polo Club, Santa Barbara Masters, Bay Area Masters, The Dark Side, and several other clubs up until his death. 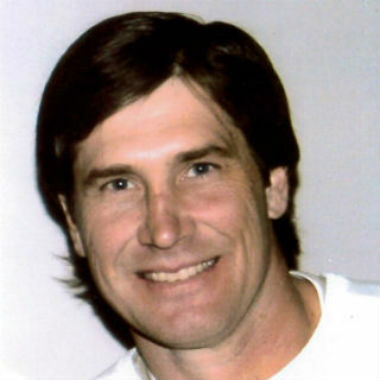 Larry appeared in countless national club championship tournaments and was named All-American virtually every year from the 1980s to the present. In 2012, Larry led the Santa Barbara Masters to a Bronze Medal in the competitive 35-plus Division at the FINA XIV World Masters Championships in Riccione, Italy. Larry played every minute at center forward-he was 50 years old. Larry Mouchawar was inducted into the Gaucho Athletic Hall of Fame in 2008. On that occasion he remarked "The relationships I built at UCSB have carried on to this day and will last for a lifetime.” Larry bonded with players from the great 1979 National Championship Team and with generations of Gauchos extending to the present day. Falling into Larry’s grasp, some 25-years after he graduated from campus pool, was a ''who’s your daddy” moment for many a young freshman unfamiliar with this enormous, ageless, center forward. 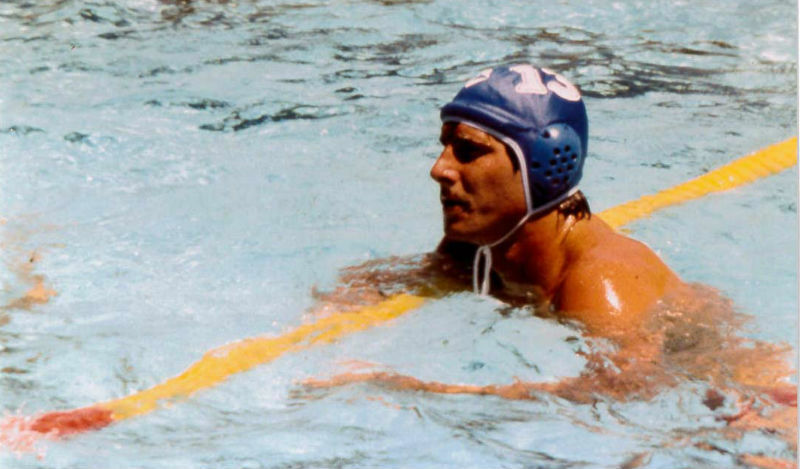 Olympian, All-American, and fellow Gaucho Greg Boyer noted that "Larry looked ten years younger and played polo better than guys twenty years younger.” He was a Gaucho great whose competitive drive and love for water polo was an inspiration for generations of UCSB water polo players.